When you visit the Whalebone look out for Harvey the Labrador. He belongs to Steve the General Manager and will be your friend for life if you share a piece of our delicious Pork Crackling with him! Harvey is generally a placid old boy but he is not a great fan of puppies. With this in mind, please allow Harvey to approach them rather than allowing them to approach him! Four legged friends are all welcome at the Whalebone so long as their owners are on a lead and well behaved. Don’t forget to ask at the bar for something from the treat jar for your trusty companion. Please note; not all of our customers are as fond of dogs as we are so could we please ask that they are kept on a lead at all times and that you bring a blanket or a coat to put down on the chairs if your four legged friends are used to their home comforts and will be sharing them with you. Thank you. Introducing Bear, the Whalebone’s latest Dog of the Month. 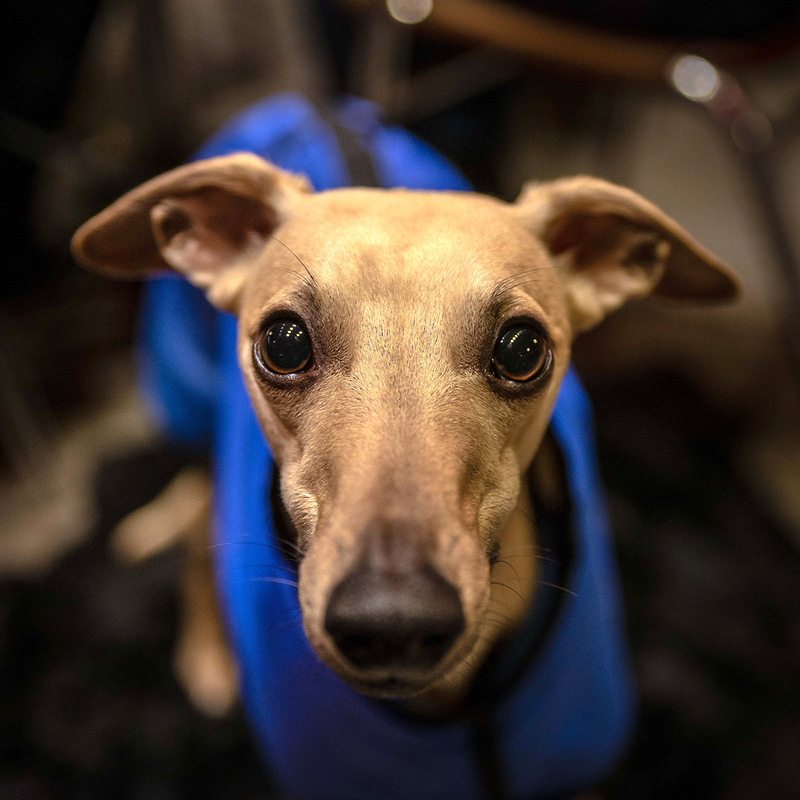 Bear is a two and a half year old Whippet who regularly visits us with his owners Debbie and Craig. Bear is a fan of chasing squirrels and visiting pubs and cafes. He also loves his home comforts, especially snuggling up on Debbie’s fluffy cardigan! Bear is already something of a celebrity, with his own Instagram page and over 1300 followers; appearing on our website is something he’ll definitely take in his stride! If you think your dog could be our next Dog of the Month then why not pop in with them, we always have a jar of treats at the bar to keep your four-legged friends happy, along with a wide selection of quality drinks and snacks to hopefully keep you smiling too.